RESTON, VA— As student debt soars—averaging $37,000 for graduates in 2016—today’s college students are studying transgender Latina immigration, ecofeminism, gender and food politics, and more. Young America’s Foundation’s Dirty Dozen list highlights the most bizarre and concerning instances of leftist activism supplanting traditional scholarship in our nation’s colleges and universities. The list is extracted from the Foundation’s popular Comedy & Tragedy survey, also released Wednesday, listing troubling courses offered by the nation’s top schools. It’s no secret that America’s colleges and universities have operated as bastions of radical liberal thought and activism for at least the last half century. Despite increased public pressure for intellectual balance, however, higher education is only devolving further into ideological monopoly. No longer are our nation’s professors teaching students material that is simply biased, they’re also teaching students nonsensical material focusing on topics increasingly beneath the dignity of the degrees they’re working to earn. Not only are these classes featuring comparatively trivial matters, they’re also promotional vehicles for radical leftist teachings. Based on the course descriptions alone, we know that many of the classes advocate liberal narratives about racism, sexism, homophobia, American exceptionalism, and more. 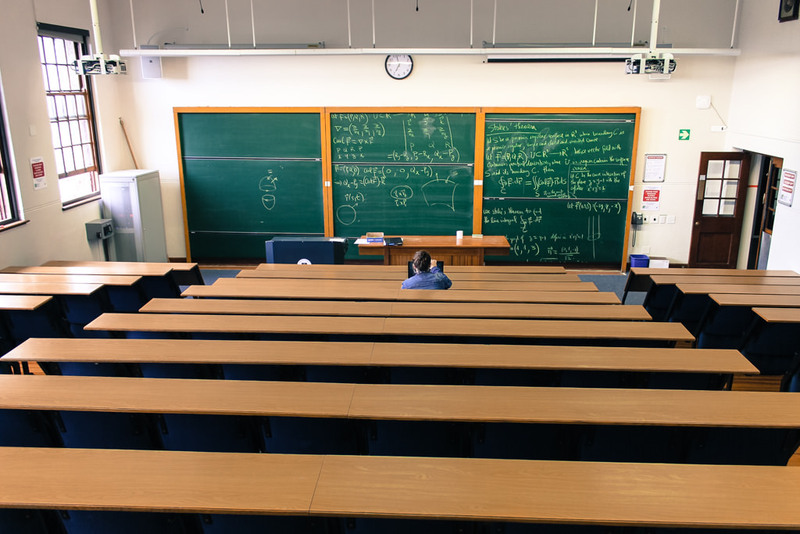 Universities are eager to offer courses focused on these topics, but it’s far more difficult to find many classes that provide an unbiased perspective on traditional conservative philosophy or leading thinkers such as Milton Friedman and Friedrich Hayek. The sad truth is that many of America’s greatest minds are spending four formative years and tens of thousands of dollars sitting in classes such as “Ecofeminism,” and “Queering God,” which clearly do little to equip them to face the real and complex problems our country desperately needs them to solve. Similarly, these courses do little to improve students’ job prospects post-graduation. The full list of Dirty Dozen courses can be found below along with course descriptions included exactly as they appear on each school’s website. Comedy & Tragedy can be read in full here. Explores the reciprocal relationship between diversity and design in America, investigating how race, gender, religion, ability, age, class, and location affect and are affected by the design of media, products, architecture, and cities/regions. Positive and negative effects of diversity and design are discussed. Provides a comprehensive interdisciplinary examination of the history, sociology, psychology and economics of Black hair. Students will explore the textures, styles and meanings of Black hair as they relate to identity and power in society. Survey of the gendered history of food and foodways from the early 17th century to the modern period; may be taught with a service learning component. An exploration of the connections between oppression of women and oppression of nature. Introduction to Trans- Studies, with focus on transfeminist cultural production in the United States and Canada. Exploration of key theoretical texts; activist histories and archives; and wide range of expressive cultures, including film and video, performance, spoken word, memoir, blogging, and other new media. Our perceptions of food are often limited to familiarity with its preparation and consumption, but do we consider food as an extension of the self or as a marker of class, gender and sexuality? This course will look at food as an intersection of production, consumption and signification, and at how different cultural traditions regulate gender by infusing food with socially determined codes. Readings include Margaret Atwood, Isak Dinesen, Marguerite Duras, Laura Esquival, among others. Environmental justice refers to the ways in which the “cost and benefits” of modern industrial society are distributed among social groups. This course is concerned with justice, not as an abstract concept, and inequality not in terms of numbers in a bank account. Social justice or inequality are lived, embodied experiences. An individual’s likelihood of experiencing environmental harm is related to intersecting gender, race and class formations, among other things. Justice or inequality is not only embodied, it also happens in places–national and regional differences matter. In this course we will look at some of the extensive literature documenting the ways in which communities of color and poor communities are subject to disproportionate environmental risks. In addition, we will focus on gender as an important category in understanding environmental inequality. White people are often invisible when it comes to having a race. In this course we will begin by considering the formation of whiteness in post Civil War America. We will read histories of whiteness, such as Grace Elizabeth Hale’s Making Whiteness, as well as consider important milestones in whiteness, from the films Birth of a Nation and Gone With The Wind to the blog “What White People Like.” Finally we will use essays, blogs, photographs, and videos to make white people at Middlebury visible by documenting how they represent themselves through language, dress, and rituals. What happens to feminist theory and practice when the lives of transgender Latina immigrants in the US are explored? How does this academic practice shape the way the power of immigration policy, biological determinism, and nativism are analyzed? Drawing from transgender studies, women of color feminisms, and sociology of labor migration, uses an interdisciplinary approach to critically examine the lives of transgender Latina immigrants in the U.S. Considers social difference along the lines of class, race, gender identity, and immigration status illuminating the various ways in which social and material borders have been constructed around gender and geographical terrains. Focuses on the current social conditions of transgender Latinas in the US and brings to the surface the implications of socially constructed categories of gender and citizenship in the country. A survey of holy figures within Christianity and Islam with an emphasis on gender and the body.